Is social media franchise friendly? Social media is no longer for geeks. It is a monster marketing tool for every business, whether a mom and pop, or a Fortune 500. Successful franchises are using social media for marketing tools, for brand awareness, and for customer engagement. 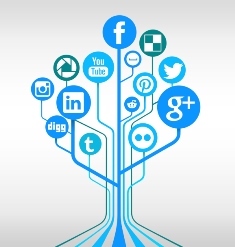 If used appropriately social media is beneficial for both the franchisee and the franchisor. Facebook and Twitter are the mainstream platforms, but others can also be considered by franchisees. Facebook is an online social networking service. Facebook organizes its business and company pages almost like a business directory. Some franchisors do not let their franchisees have their own Facebook pages and just have one Facebook page for the brand. Other franchisors allow franchisees to have their own pages but the franchisor is an administrator of the page. The purpose of this is to protect the brand in the event that the person posting on Facebook leaves the company. By having the franchisor as the administrator, the brand is protected. The franchisee Facebook page can list specific information including location and contact numbers. Facebook allows franchisees to share relevant photos, company news and interesting facts/features and stories. Twitter, and “tweeting,” is broadcasting daily short burst messages to your target. With messages that are useful and interesting, these daily bursts may help build some types of franchise businesses. Twitter is often used to promote blog posts to a wide audience. When you post a message on Twitter, the “tweet” goes out to everyone who is a follower. If they like the tweet, they may “retweet” it out to their followers, widening your social reach. LinkedIn is a business-oriented social networking service. For business connections, programs, groups and information, Linked In is a good option. Most franchisees set up a corporate account and keep it up to date with information describing the franchise and the key selling points. LinkedIn allows franchisees to send out requests to a target and compile a mailing list of contacts that will grow the business. Franchisees can email these contacts once per quarter, giving them information on advances in the organization, a special VIP offer, or a personal invitation to take part in services. Franchisees can also join any pertinent groups that will connect with key influencers in the industry to further connect with individual targets. Pinterest is a predominately free website that requires registration to use. Users can upload, save, sort, and manage images—known as pins—and other media content (e.g., videos and images) through collections known as pinboards. Pinterest acts as a personalized media platform. Users can browse the content of others on the main page. What’s unique about Pinterest compared to most social media websites is that it reduces the number of steps from discovery to conversion. This means that visitors from Pinterest may convert into leads or sales faster than from other social media sources for certain franchise concepts. Instagram is an online and mobile photo-sharing, video-sharing and social networking service that enables its users to take pictures and videos, and share them on a variety of social networking platforms, such as Facebook, Twitter, Tumblr and Flickr. Instagram is simplistic, and the most personal of the mobile platforms. It’s full of potential with people eager to connect with a brand on a more intimate and tangible level. The importance of visual imagery can be key to the telling of a brands’ story, any brand. Franchisees can create campaigns to utilize this platform to reach their targeted audience, sharing alluring imagery and creative captions. As with all social media accounts, businesses must outline a clear strategy to follow, as one little mistake can cause bad publicity that can affect the whole business. You don’t have to look too hard to find examples of high-profile social media blunders . Even so, companies have often managed to dig themselves out of these holes by using professionalism, empathy, and—provided that it’s appropriate and approached carefully—humor. Social media can be a great way to interact with the public and a useful marketing tool, or it can be a big pitfall for the reputation of a company. As long as there is a clear strategy with set rules that are easy to understand and agreed to by all employees, there is nothing to worry about. Social media can build sales if done carefully and with a full commitment. It is key that each franchise have a strategy and that each profile page, company profile, photo and message, tell a compelling story about the franchise brand.